My attention has switched to the buildings for Thomas and Sons. 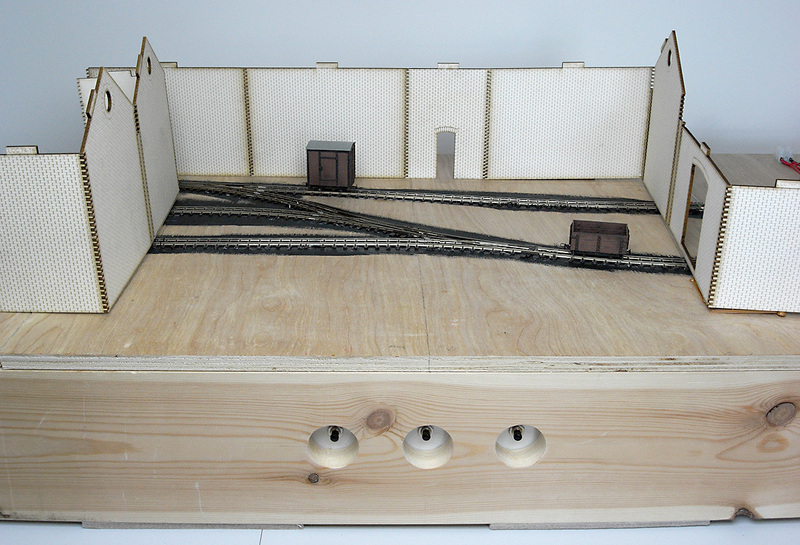 The components from LCUT were positioned on the baseboard and the overall effect was pretty good. Some modifications are required. 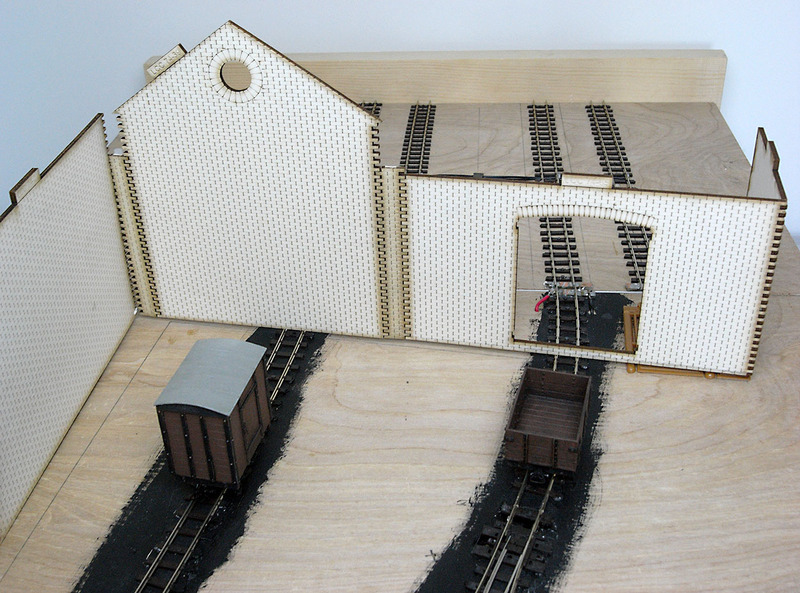 For example, holes need to be cut in some of the walls to create entrances into the buildings, and although some of the components have pre-cut openings these will have to be modified to allow the track to pass through. 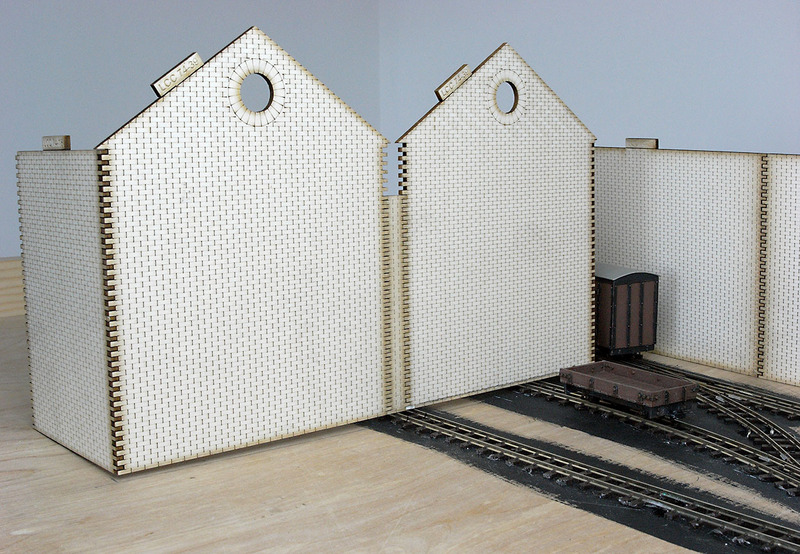 The side walls of the buildings will need to be cut to ensure they fit onto the baseboard. For example, the wall on the far left of this photo. At this point I realised I will have to fit the back scene behind the building to measure how long the side walls should be. Small problem. I haven’t made the back scenes yet. Hmm… I can feel some woodworking coming on….. Thanks Jonathan. And thanks for the reblog!